Photo by Harry W. Frees. 1914. 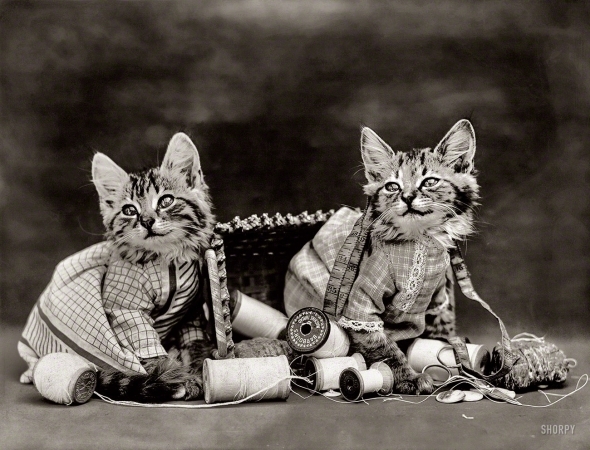 "Costumed kittens with thread and scissors in overturned sewing basket."